Partnership marketing was rated as the most impactful marketing technique in Hinge's 2017 High Growth Study. One third of the high-growth organizations Hinge Marketing interviewed rated partnership marketing 9 or 10 on a ten-point scale. 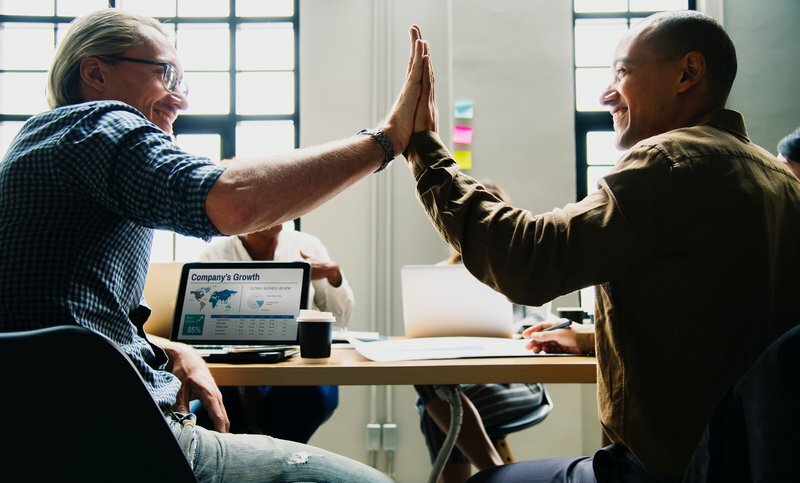 Return on partnership marketing outperformed all other types of marketing, including creating downloadable content, taking speaking engagements, and even having a great website. High-growth companies also spent more time and effort, in general, on marketing than no-growth firms. 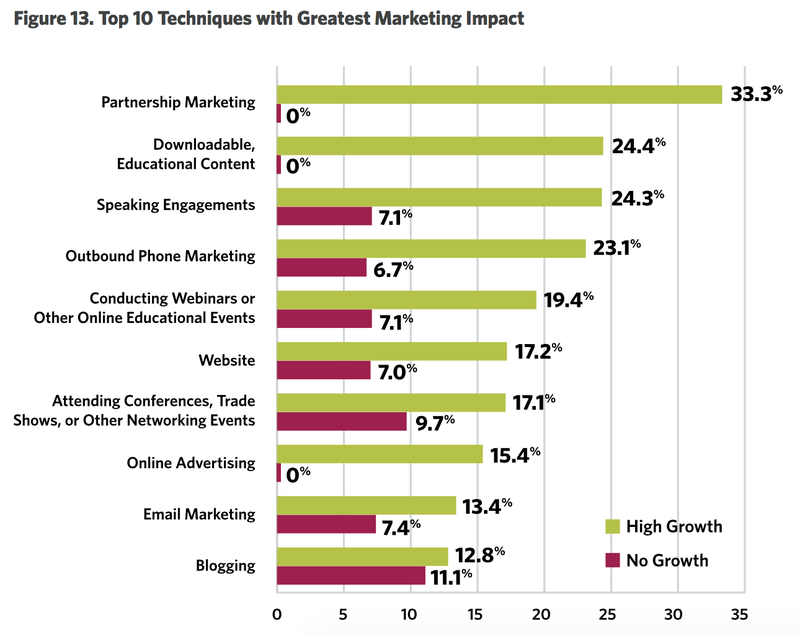 In fact, high-growth firms spent 43% more time and effort on marketing than no-growth firms, and saw 74% more impact. They grew at a median rate of 34.3% -- and were 50% more profitable than the average company Hinge analyzed. These high-growth companies also invested more heavily in partnership marketing -- as their preferred growth technique -- than no-growth companies. How do you spend your marketing dollars? Where do you put in your marketing time and effort? How can you take advantage of partnership marketing outperforming all other marketing techniques? Take a critical look at your marketing activities, analyze your ROI, and consider spending more time and effort on the activities that these high growth companies have used to outpace the growth of their industries. Also ask yourself if you're spending enough money on marketing. 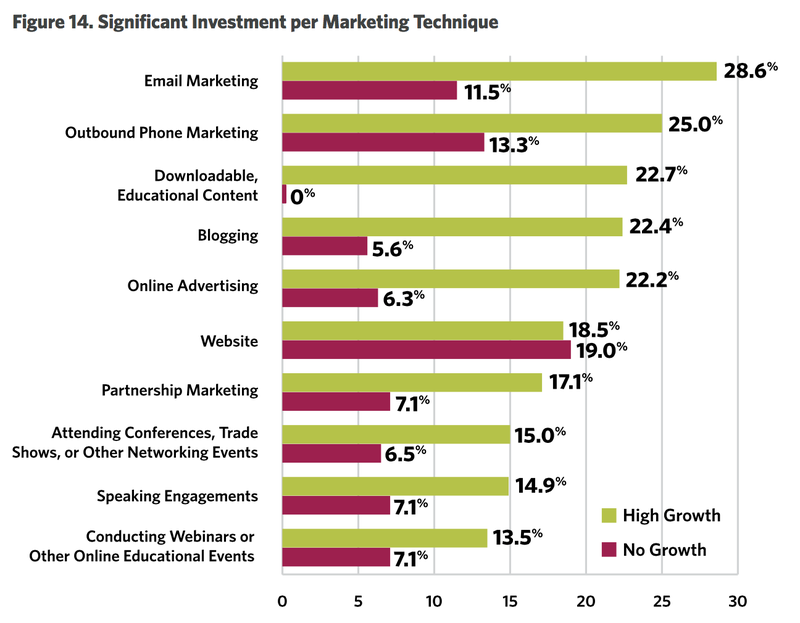 Hinge found that investment in marketing was correlated with higher growth rates and profitability. Not sure where to begin? Start with partnership marketing! Parsnip was founded in order to make partnership marketing easier. 80% of partnerships don't work out -- because they weren't aligned in the first place. Parsnip members use Parsnip to find aligned partners to build out their partnership marketing programs. Already a member? Sign in to start browsing other brands and request your next partner. Not yet a member? Join today and start matching in no time.